Elmira Jerome was a part of the Chippewa Nation. She was born in the year 1889 in North Dakota. Her mother was from Canada and was named Julia M. Venne while her father was from North Dakota and was named William Jerome. 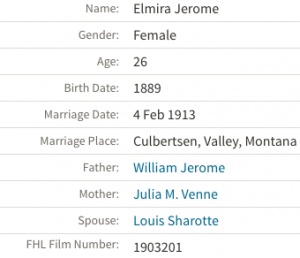 The 1910 U.S. Census indicates that Elmira lived in a household of about thirty people before she was married. It is also important here to note that all of these household members were under the age of 18, so Elmira’s parents possibly could have housed some foster children. 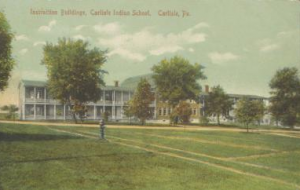 Elmira, at age 15, then entered the Carlisle Indian Industrial School on October 6, 1902 and graduated from the school on June 3, 1909. However, there is a discrepancy between Elmira’s birth year and the age of her start date at the Indian school. In actuality, Elmira started the school at age 13. Elmira seemed to have done well within the school because a record from an admin in her file stated she had “excellent” character. 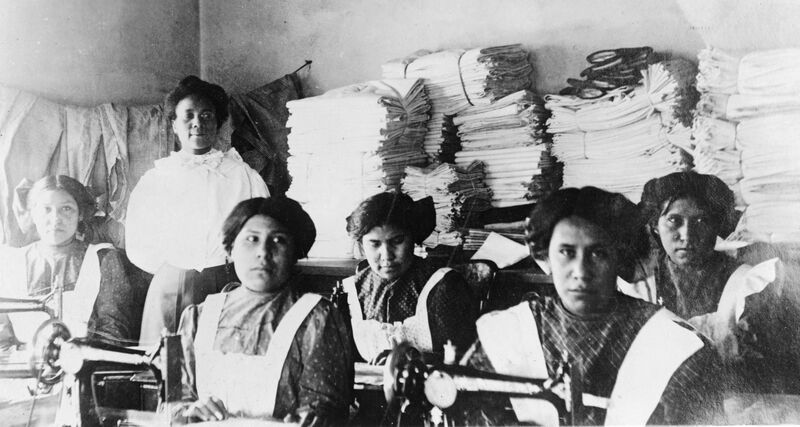 Likewise, she had well-developed reading and writing skills, according to the 1910 US Census. During her attendance at the school, aside from writing “A Legend of the Pottawatomi” for The Indian Craftsman, she likewise wrote four pieces for The Carlisle Arrow. These pieces were entitled “Biography of Susan Longworth” (1907), “The Munsee Indians” (1908), “A Pottawatomie Tradition” (1909) and “Weaving, Basketry and Pottery” (1909) (233). Clearly, “A Legend of the Pottawatomi” was not the first piece she wrote about the Pottawatomi Indians. 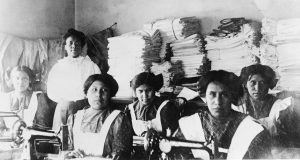 Littlefield then states that after attending the Carlisle Indian Industrial School, Elmira moved to Fort Totten, Benson, North Dakota and took a job as the assistant seamstress at an Indian Boarding School owned by the Bureau of Indian Affaires (71). 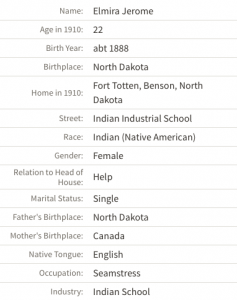 At the time of 1910 U.S. Census, she, at 22 years old, was still unmarried and still lived in Fort Totten, Benson, North Dakota. Four years later, at 26 years old, she married Louis Sharlette on February 4, 1913 in Culbertsent, Valley, Montana. Shortly afterwards, they moved to Poplar, Montana. 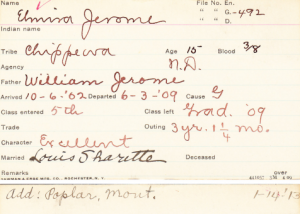 This entry was posted in Elmira Jerome, Tribal Educators and tagged Bureau of Indian Affaires, Indian Boarding School, Montana, North Dakota, Pottawatomi, The Carlisle Arrow, U.S. Census. Bookmark the permalink.